For a movie that is so clearly progressive in its premise, Obvious Child is also earnestly nostalgic for the good old days when love at first sight was something to be cherished and believed in. 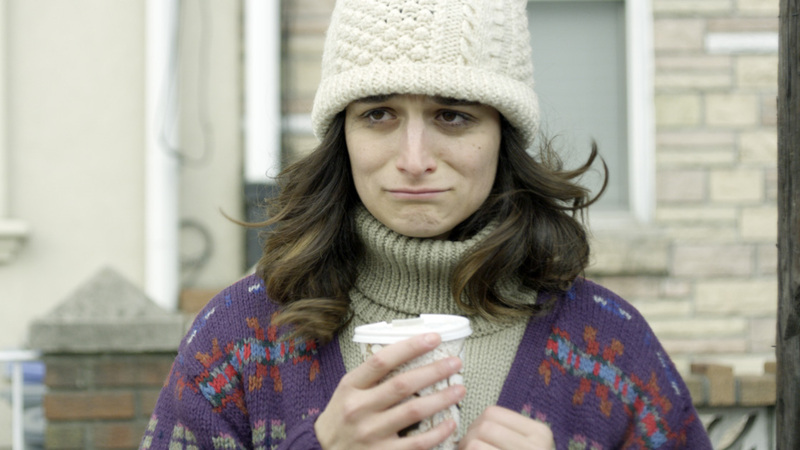 Obvious Child is a film that adeptly maneuvers itself through the controversial issue of abortion. It does so while existing within the stifling confines of a tired genre that is rife with cliches – the dreaded Rom-Com. 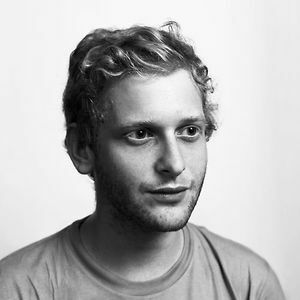 Undoubtedly, many Americans may find the premise to Obvious Child audacious and hard to swallow, as it is a comedy centered around a twenty-something female standup comic named Donna Stern (former Saturday Night Live member Jenny Slate) who discovers she is pregnant after a drunken, one night only sexual tryst with a young man named Max (Jack Lacy). Upon discovering her pregnancy, Donna, without any reservations, plans to terminate her pregnancy with an abortion. Above I’ve embedded a podcast where I discuss what I discovered when I asked my fellow film bloggers “why we watch” what we watch. I want to thank the blogs http://www.genkinahito.wordpress.com and http://www.scumcinema.com for discussing their passion in global cinema with me and for telling me why they watch. The Why We Watch interviews conclude with a chat with Monkey Fist, Topo Sanchez and Mountain Monkey – the creators of the blog and film society S.C.U.M. Cinema. Editor’s Note: I conducted my interview with these three men via email. Some questions were answered individually and some answered as a whole. “S.C.U.M. (all)” denotes that the answer was given by all three interviewees. First conceived in 2007 by Monkey Fist as simply S.C.U.M., S.C.U.M.’s main objective was to hold “regular public screenings of non-mainstream films for like-minded folks in Singapore.” Due to issues with “obtaining screening rights from copyright holders,” S.C.U.M. would collapse but would eventually resurface as S.C.U.M. Cinema and this time, Monkey Fist had his friends Mountain Monkey and Topo Sanchez by his side. Together, these three men have created a blog where they review cult films from around the world, new and old, and continue to work towards their ultimate goal of holding film screenings in Singapore. I talked to them about why we watch films that are, as they say, “weird and the bizarre.” The answers they gave are interesting and quite humorous. They are undoubtedly extremely knowledgeable in cult film and I walked away from the interview with at least ten movies I’ve never heard of before that I need to get copies of and watch! As the lights dimmed inside the Brattle Theater, filmmaker Xander Robin had a huge smile plastered across his young face, as he was about to share his latest short film Are We Not Cats with an audience of strangers for the first time. I caught up with Xander, who came to the Boston Underground Film Festival with Are We Not Cats actress Kelsea Dakota, a few days after the screening to get his thoughts on premiering a movie in front of a crowd, technical difficulties, his plans on making a feature length film, just how important the last few seconds of Are We Not Cats are, and of course, how he felt winning the Director’s Choice Award of Best Short Film at the Boston Underground Film Festival. LostintheMiso: So how does it feel to know that your peers chose your film for Best Short? Xander Robin: I am ecstatic especially because I love all of the other films that were chosen for awards. 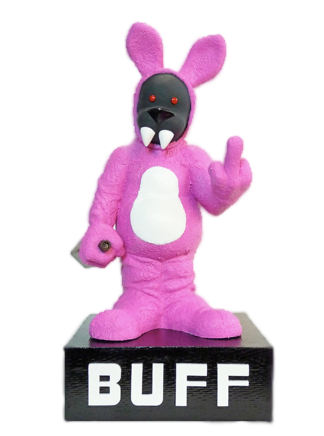 LostintheMiso: How did you go about being chosen by BUFF this year? This was Are We Not Cats‘ world premiere, yes? Describe your feelings as the film began to screen. Xander Robin: I submitted a work in progress. Before BUFF, the largest amount of people that had seen it at once was five dudes in a room. Before and during the screening there was an inevitable anxiety. LostintheMiso: There was an awkward moment when the film stopped due to a technical issue, that must have been heart-stopping. What was going through your head? Xander Robin: I’ve seen many technical problems at various festivals so it’s never a jaw dropping surprise. I also had a couple drinks before the screening to calm my nerves, which my heart was thankful for in that moment. I’m glad that they rewound [the film] to a logical point and let the film build again. Hopefully everyone gave it the benefit of the doubt. LostintheMiso: How did Are We Not Cats‘ story come about? The hair eating is obviously an unsettling component to the young couple’s relationship and yet theres a tenderness to their love. Where did the inspiration for the hair eating come from? Xander Robin: The hair pulling/hair eating relationship is something I had been developing into a feature, drawn from both personal experiences and observations. Myself and my director of photography/co-producer Matt Clegg didn’t want to rush into production on a feature after we had moved to NYC [Editor’s Note: Xander graduated from Florida State University College of Motion Picture Art with a BFA and now lives in Brooklyn, NY] so I used an alternate situation and scouted some locations and we produced the short based on a treatment. LostintheMiso: In many ways Are We Not Cats hinges upon the last eight seconds of the film. It could have turned out cheesy but was very well done. How long did that scene take to film? Xander Robin: The very end took no more than two hours to prepare and shoot on location. The prop(s) took about a week to make. The take used was the first take; her [Actress Kelsea Dakota] expressions of going through that motion could not be replicated after it had been experienced for the first time. It is true, the entire film was made for the last 8 seconds. LostintheMiso: Where can people see Are We Not Cats and your previous work The Virgin Herod and Kodachrome 2012? Xander Robin: Are We Not Cats can be viewed online but it is password protected for now. I would like for it to screen a few more times before making it publicly viewable later this year. If anyone would like to see it, send me an email at info@xanderrobin.com. My other films can be seen on that website or on vimeo.com/xanderrobin. LostintheMiso: Finally, do you have any interest in doing a full-length film? Xander Robin: This short has helped me figure a few things out regarding this concept and have since rewritten my feature. I’m working on making that happen early next year. I’d like to thank Xander Robin for taking the time to answer a few questions and whenever his feature film debuts, I’ll be one of the first in line.